I was in second year high school when I decided I wanted to be a writer after being inspired by Mia Fausto's Letters from the Editor in Candy magazine. 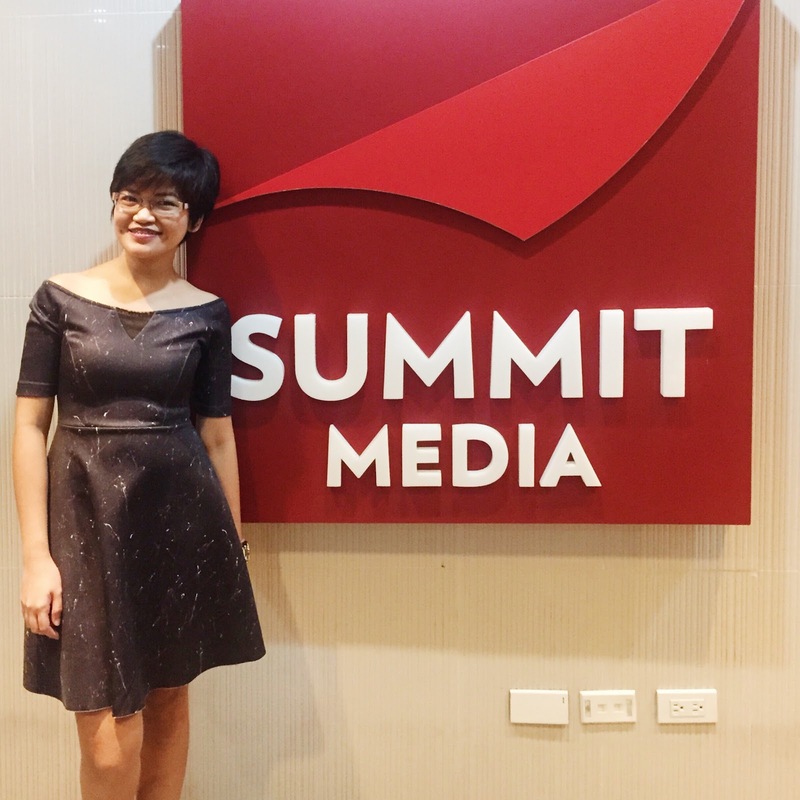 My main motivation for taking up Mass Communication in college, signing up for related extra-curricular activities, and doing my internship there was my dream of working in Summit Media someday. Every waking moment was filled with images of myself sitting on my posh Summit Media desk, surrounded by my beautiful Summit Media colleagues. I wanted it so much. Too much, in fact, that I got too scared to go after it. I was too afraid that if I try to get in and I fail, then it would be a failure I would never be able to recover from. I guess when you really want something, the Universe indeed conspires to make it happen. These days, I work with Summit Media peeps through my job and have been blessed to meet people from there who have become friends. Summit Media also distributed the first story I wrote and published through Buqo, and you could just imagine how amazing that felt. Soon, you'll also see my second story distributed by them, so now it's amazing times two. Sometimes I look back to my 14 year old-self and wonder if I should feel sorry, but I don't. Somehow everything worked itself out, and I couldn't be happier. Who knows, maybe someday I could still have that posh Summit Media cubicle. But for now, thank you, Universe. Everything is awesome. Nothing. StrangeLit took up most of my time that I haven't had the time to read for leisure. I recently went on a Kindle ebook-shopping spree and I am so excited to flip through them! The quiet rhythm of the electric fan that almost makes me want to nod off to sleep. Of my work load and how I could possibly make things easier for me. A little bit happy, a little bit sad, and too confused as to why. More days for rest, please. More money for Powerbooks' sale and Manila International Book Fair! A kind soul gives me tickets to the AsiaPOP ComiCon Manila 2015 and Carly Rae Jepsen's concert. The #StrangeLit bundles are out!